We have a very exciting announcement for all fellow cannabis lovers! 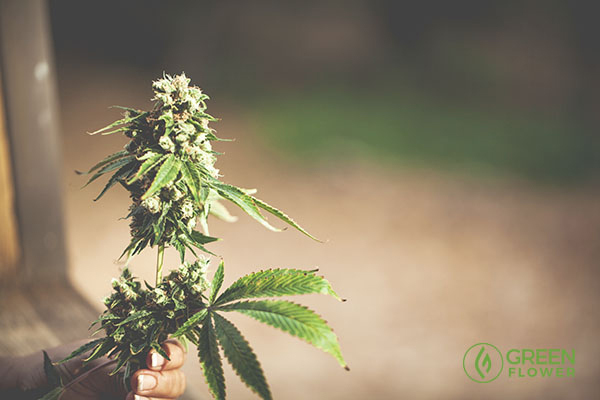 At Green Flower our mission has always been simple: to spread cannabis education to help bring this beautiful plant out of the shadows and into the light. Since our initial launch with the #ComingOutGreen campaign in April 2015, we’ve accomplished so much. We were honored to work alongside Steve DeAngelo in launching his book The Cannabis Manifesto. And then we held two record-breaking virtual summits on cannabis health and entrepreneurship – attended by over 38,000+ people from all over the world. Yet we’ve always known we could do so much more, that we could reach so many more people in this ongoing mission to provide solid, well-crafted cannabis education to the world. Johnny has worked behind the scenes in numerous cannabis campaigns, helping to spread awareness and create online strategies, and establishing personal friendships with hardworking activists across America. He also stays in close contact with major reform organizations and has even sparked a friendship with his all-time favorite NBA player – fellow passionate cannabis advocate Cliff Robinson. Johnny is excited to advocate alongside Cliff Robinson, and has some exciting things planned in the future with Cliff and the Uncle Spliffy crew. In other words, Johnny’s passion and impact as a cannabis advocate has earned him the respect from fellow cannabis advocates around the world, and Green Flower is beyond excited to join forces in our ongoing mission to spread cannabis education far and wide. I want to take this opportunity to introduce myself and to thank you for supporting Green Flower and its mission. I am a cannabis activist first and foremost, having attended my first cannabis rally almost 20 years ago and have continued on to this day. I grew up in, and still reside in, beautiful Oregon. Oregon was the first state to decriminalize cannabis, the second to legalize medical cannabis, and legalized recreational cannabis in 2014. I have been fortunate enough to grow up in a state that has always been at the forefront of cannabis reform, which is something that I have always appreciated. Residing in Oregon, I no longer have to live in fear of prohibition simply because I choose to consume a plant that is safer than many pharmaceutical drugs, foods, and common household items. It should be that way for everyone, and until it is, I plan on doing whatever I can do to support reform and to help reduce ignorance and stigma towards responsible cannabis users wherever it may exist. Many, many activists came before me, both in Oregon and beyond, and it is an honor to carry on the fight that they gave so much of their lives to, and that many sacrifice so much for to this day. I intend to carry on that freedom fighting spirit here at Green Flower, where the team members are very passionate about spreading valuable, necessary cannabis information and knowledge. The creators of this platform believe that spreading awareness and knowledge is vital to overcoming the reefer madness propaganda that was so widespread for so many decades, and that unfortunately many members of society still believe to be fact. I believe in celebrating the plant. I also believe in social entrepreneurship, and that it is the duty of all members of the young cannabis industry to be good ambassadors of the cannabis plant. To do otherwise I feel is a slap in the face to all of those that have fought for, and in some cases even died for, reform. I believe that members of the cannabis industry should conduct themselves ethically and morally, and put compassion and justice before profit. I am truly humbled to be a part of such a great team here at Green Flower, and to be a part of such a great community. I look forward to interacting with current readers in the future, and to hopefully bring some of my friends into the conversation as well. Onward! This new addition to the Green Flower team is a game changer. With Johnny Green on board, we will start publishing new content several times per day, adding a new flavor to our platform, and of course, sharing a whole new level of cannabis education, news, and activism. So starting tomorrow, make sure to visit LearnGreenFlower.com on a daily basis to enjoy an abudance of powerful new online content. But this new phase is much more than just more content. Combining Johnny’s skills and experience with Green Flower’s platform will lead to cannabis campaigns unlike anything the world has yet to see. Imagine if your two favorite superheroes merged together to become a megahero – all but unstoppable in the name of cannabis freedom. Prohibition? Stigma? Misinformation? Together we can tear all that down and replace it with something much more powerful: truth, healing, and happiness. If you’re equally pumped for cannabis truth and inciting real change, give Johnny a warm welcome in the comment section below. And if you’re one of Johnny’s original followers, share a few words about the impact he’s made on you in the comments section below.